Most riders ask this question at some point in their careers, and there are literally chapters written about it. Those are the kind of chapters that tend to describe, in detail, how a watch is made to someone who just wants to know what time it is. 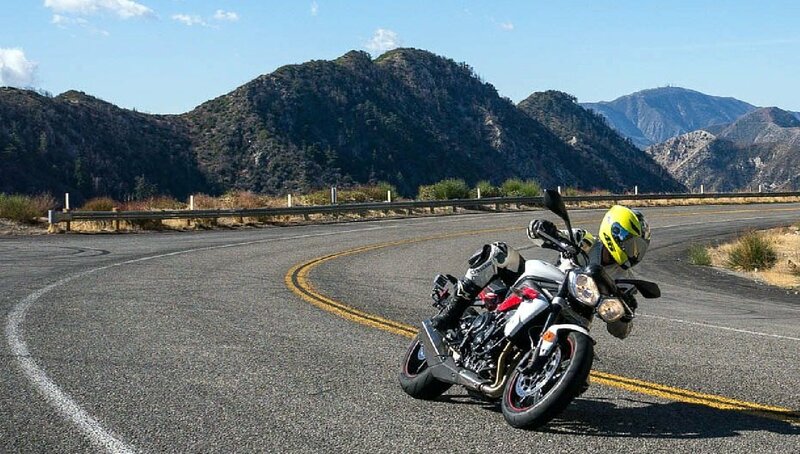 Trail braking is a method of navigating a corner that involves continuing to apply braking force after initiating the turn-in to the corner instead of completing all of the braking while the motorcycle is still vertical and before beginning the turn. In trail braking, the rider continues using the brakes (either front or both front and rear) while leaning into the turn and gradually reduces braking pressure as the lean angle increases. Eventually, the braking pressure trails off to nothing, ideally about the time the rider has almost achieved maximum lean angle and is approaching the apex of the turn. Racers use trail braking all the time to extract maximum performance. Notice that in this photo pro racer Travis Wyman has two fingers on the brake lever even as he's deep into the turn. Photo by Brian J. Nelson. Personal preference is a strong motivator. It helps to transfer weight onto the front tire, which can be advantageous. It also compresses the forks, which in turn reduces trail, making the bike easier to turn. In the same vein, reducing speed also reduces the motorcycle’s turning radius. Perhaps the biggest benefit for street riders is the ability to continue slowing if needed, as the brakes are already applied, minimizing rider reaction time — particularly helpful on roads not well known to the rider. Letting off the brakes gradually eases the transition back onto the throttle. RevZilla photo. What are the risks associated with trail braking? Trail braking can be difficult to learn and practice, especially for novice motorcyclists. Trail braking also loads the front tire heavily with braking and steering forces, but when done incorrectly, trail braking has the potential to overload the tire with those forces. Front tire slippage, especially mid-turn, is generally a bit more difficult to recover from than rear slippage. Trail braking, like many other techniques used in motorcycling, may prove more effective for some riders, motorcycles, and roads than others. Probably the best place to learn trail braking is in one of the track-based riding schools that teach the technique or at a track day, with the advice of a more experienced control rider. Trail braking can be learned or practiced on the street, with a caveat: aggressively trail braking on the street may reduce your safety margin considerably, especially if road surfaces are not ideal and other vehicles are present. Try it out (safely!) and see if it works for you.